Not content with a steady job in a bank, Sarah Richard sold all of her worldly possessions and took the first plane headed east! 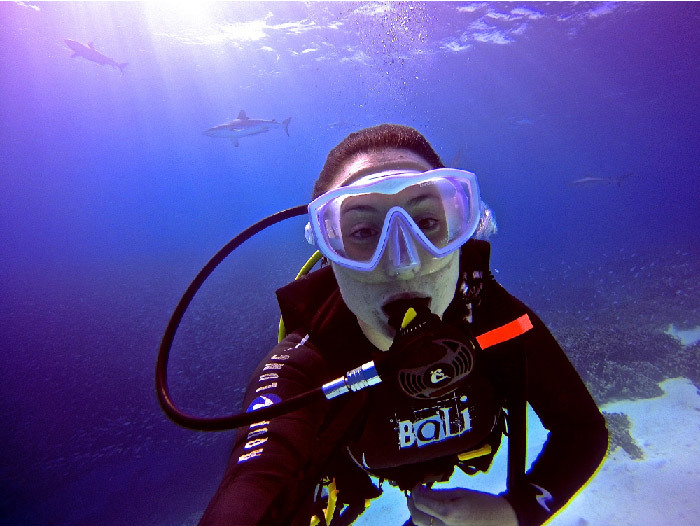 This is the story of how Sarah, editor of girlsthatscuba.com, found inspiration through travel and diving, shaping her life as a writer and PADI Professional. It was my first ever instructor in the Maldives that inspired me. 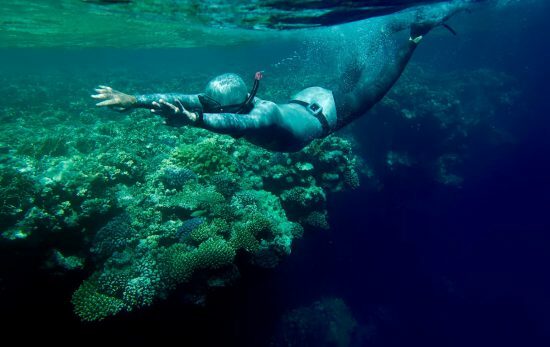 He told me of a time he dived for a whole hour with 4 giant manta rays, where upon surfacing from that dive, knew instantly he would quit his job and become a dive instructor. He did both those things and got a job in one of the most beautiful places in the world. From hearing this one tale – before I’d even put my head under the water – I was sold. I was going to become a diver. I’d been travelling South and Central America for a year on my PADI Advanced Open Water license and was becoming more and more obsessed. I spent my last $ on a trip to the Great Blue Hole in Belize and after that, I realised that I had started to change the way I travel, and the money I spent, because of places I wanted to dive. I decided it was time to do my PADI Divemaster course and accept the fact that scuba diving had taken over my life. Next stop Turkey, did my Divemaster Internship and never looked back. Setting up www.girlsthatscuba.com and connecting thousands of scuba-obsessed women is by far my biggest achievement. 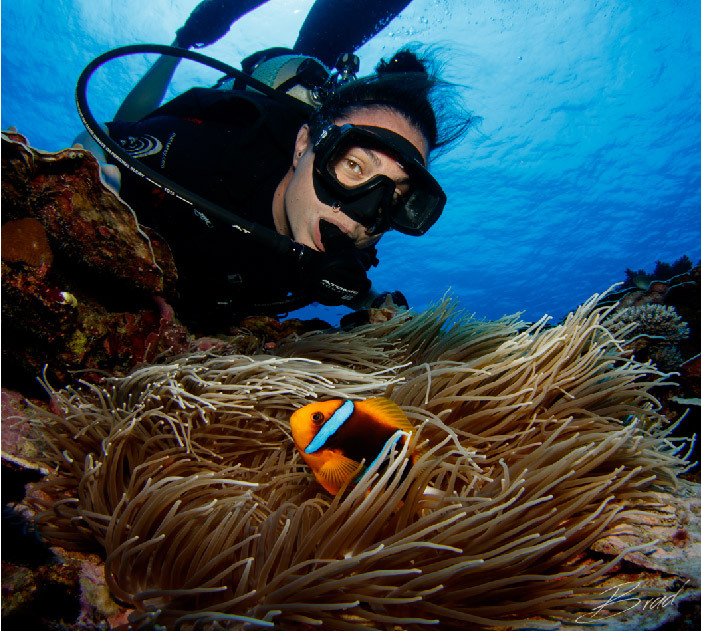 Throughout my scuba career, I always felt there was a lack of female divers to share my experiences with. One day I decided to stop moaning about it and take action instead. Honestly, I set up the group because I wanted to make more female diver friends – but I never expected it to grow as quickly as it did! 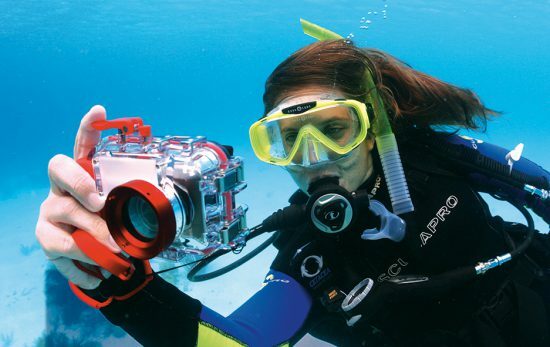 Now, thousands of women from all over the world chat every day about anything and everything scuba related! We organise scuba trips together, share advice and experiences and support each other in our scuba endeavors. It is incredible having such an inspiring community of women to reach out to on a daily basis. 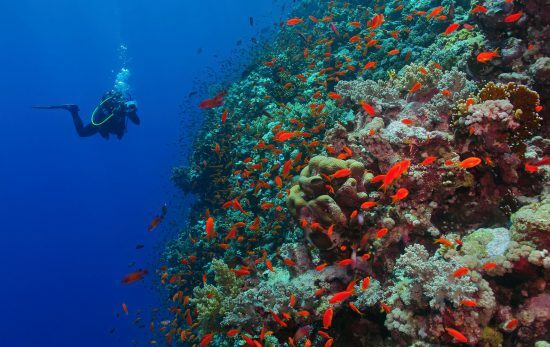 What is your next goal related to scuba diving? 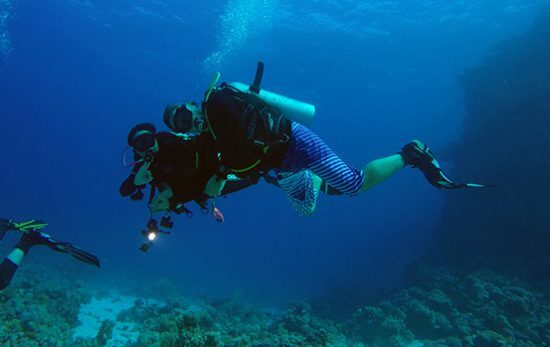 My goal is to get more local Egyptian women into scuba diving. I currently live in Egypt and have therefore seen first hand the lives that Women in Egypt lead. They tend to work very hard at home and haven’t yet had the chance to experience the wonders of the ocean. 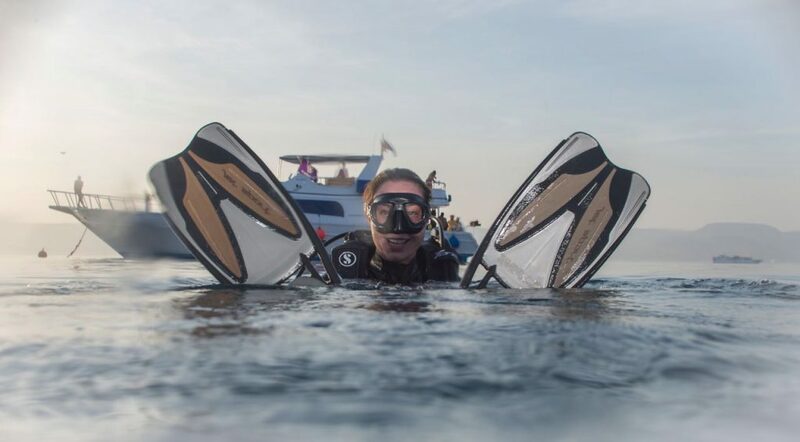 I want to bring Egyptian women together, with the help of PADI Egyptian female instructors, and encourage them to experience scuba diving for the first time. Whether that be just organising a get together to introduce diving or actually finding time for them to start their Open Water course. For me, it is all about empowering women to do something they may not have thought they would have the chance to do before. Silence. Over the past two years, I have been living in Hong Kong, a city that never sleeps. There wasn’t a moment in those 2 years that I had complete silence. Don’t get me wrong, I love that city, but it made me love scuba diving even more. Being able to dive (even in Hong Kong) opened up my world to silence – in the purest form. How has diving changed your life? Diving really has changed my life in a way I never saw coming. One of the first things I ever wrote on my travel blog (www.coffeewithasliceoflife.com) was about the first time I dived with sharks in Panama. I was so excited to write about my experience that it turned into more of a short book than a blog! As a result, it made me realise how passionate I was about writing and how much easier it was to express myself through written words. In addition to writing about my travels and dive adventures on my blog, other websites approached me asking for dive content. Subsequently within a few years, I went from blogger to full-time writer. Travelling the world, diving in the best destinations and writing about the experiences had become my life. If it wasn’t for the passion I have for diving I would have never discovered my love for writing. And let’s be honest, the best job in the world; a travel and scuba dive writer. You are literally only seeing 30% of our planet. There is 70% more waiting for you in the ocean. See you there? ‘My PADI’ means ‘our PADI’. It means sharing my experiences with others, meeting new people and inspiring others to join the journey. It means that my voice becomes part of a bigger voice and together we can explore and preserve the most precious gift of all: the ocean. 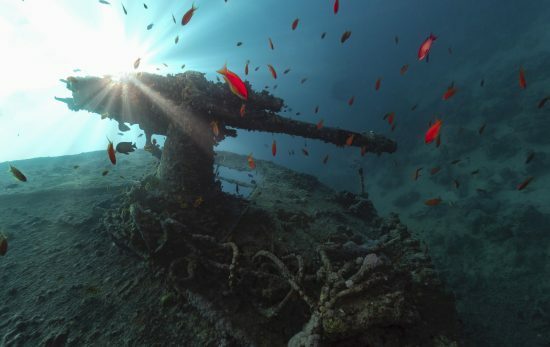 Click here to experience liveaboard life in Egypt.